I initially disliked this peel-off type lip tint. It is not a product you can put on and go out the door. There is a bit of learning curve to apply the gooey gel evenly (now I get the "oops" part). It tastes terrible - sour and synthetic. Yet slowly I have become to depend on this weird lip tube for the utmost natural color and longevity. You put on the thick gel on lips and wait (I usually apply it after foundation and carry on with eye makeup and cheek color, which gives enough time for it to transform into a flexible yet peel-able film), then you peel it off (this is the best part, by the way). It is rather gross so I am not including the pic here. You can find tons of YouTube videos on this, though. I think I did a great job here. Usually it goes easily outside of my lip lines. 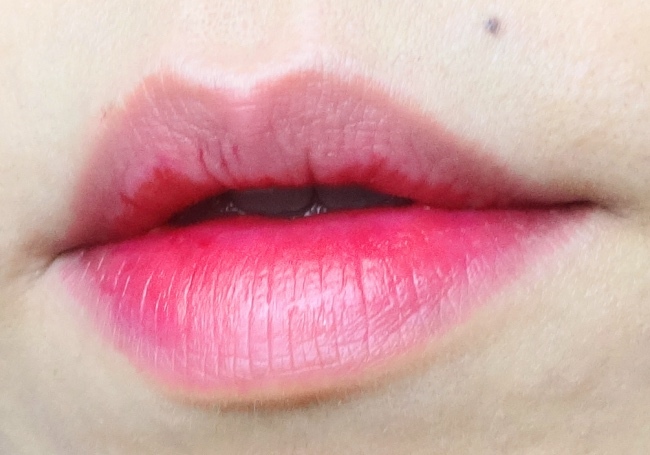 This somewhat difficult application is due to the unique consistency, and I don't think it would be a big issue for most as many people put this on in the middle (not necessarily filling whole lips like I do) to base the gradient lip look. Berrisom My Lip Tint Pack leaves a very natural color behind. It actually creates gradient effects. I think the end result is quite similar to what you would get from using a traditional tint (those watery kinds like Benetint), but the biggest difference is the lasting power. This color lasts through talking and eating. If you are equipped with a nice gloss (maybe a slightly tinted one), you are good all day. Glossing itself doesn't interfere with the color integrity, which is a beautiful thing. I used to think aging is about getting wrinkles (oh, I got those, too), but I realized that I was loosing my natural colors gradually all over. I no longer wear a pale-colored lip gloss on its own because it makes me look tired and washed out. Still, I love wearing dark smoky eyes which is hard to pair with brighter lips, because makeup is all about balance. So you see, this über natural pink tint solves the conundrum. Berrisom My Lip Tint Pack helps me to achieve that balance which nowadays so scarcely comes by. I have used many different lip tint products now but have not found anything that gives the same effect with the same long lasting result. I will have to repurchase this necessary evil. I didn't try this product yet but, It's in my wishlist!! Hi, Moeri! Hope you well. Do give it a try. It is really long lasting more than anything. 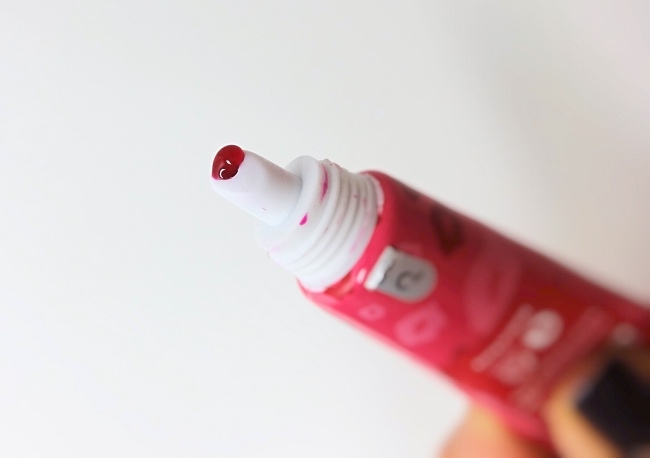 We can all benefit from a long lasting lip tint! Oh wowza! It looks amazing on your lips!! I've seen so many great reviews of this but I've yet to try it, I'd totally love to now though! Thanks, Sharlynn! I thought it was gimmicky at first although the peeling off part is quite satisfying. The color lasts for a long time so I endure the not-so-enjoyable step. Oh I love it the shade of this lip tint. This brand is one of my favorites. I have yet to try any of these peel off tints. But long lasting, you say? I still feel a little eeky for some reason. LOL! It is eeky, I'm not gonna lie to you. And it tastes like rotten vinegar. ;x But, yes - it is very long lasting and quite pretty! I really love the effect of this, but um, it sounds like work, and the smell, lol, that sounds terrible. I agree. The stain lasts longest among many I've tried so far..I stomach the smell for that. I'm using this up but doubt that I'd buy another one.